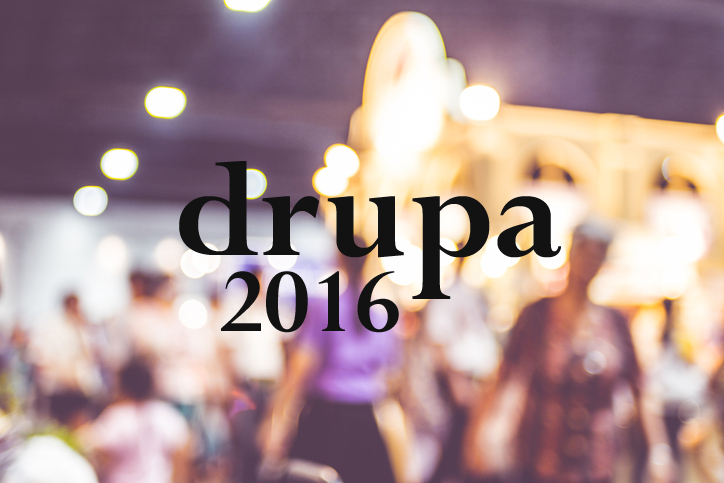 This year’s drupa convention had a lot of exciting new products and exhibitions. drupa, the world’s largest print and media exhibition, wrapped up its 11-day convention on June 10. Our president, Jeff Tomlinson, attended the event in Dusseldorf, Germany. There were many exciting new innovations on display at this year’s drupa. If you couldn’t make it to drupa this year, have a look at our highlights. The Leipzig Museum of the Printing Arts is a working facility in Germany dedicated to the history of printing. The museum covers 550 years of printing history with hands-on exhibits. The museum boasts its own lead type foundry, a handcraft book bindery, a wood engraver’s workshop, and a range of letterpress, intaglio, and planographic printing presses. This year, the Leipzig Museum had a display called “The Sounds of Printing”. Several noisy, old machines were operating as they were on display, including a 1894 Koenig & Bauer letterpress that was printing posters and a working Linotype from 1965. Attendees could listen and watch as these machines and others were operated by museum representatives. The German artist Henrich Weusthoff has been collecting wood and metal typefaces, dingbats, and engravings used for printing for thirty years. A few parts of his collection are over 200 years old, and many pieces have been collected from England, Ireland, and Scotland. As his collection grew, he began to piece together these bits of printing equipment to create striking works of art. You can look at his art and even order a custom piece from his website, Type & Tech. A GUK pharmaceutical folding machine was on display at drupa with an impressive product. The machine produced folded flyers that, when folded, were the size of a dime. The technology that goes into creating a flyer that is folded so small is impressive. The flyer measured in at 5.8” x 4.1” and was made with six accordion folds and four right-angle folds. The final result actually had the appearance of a small mint, and many attendees actually mistook the small flyers up for grabs in candy bowls as mints! After realizing that the flyers were indeed not candies, they unfolded them to see an adorably small advertisement. This entry was posted on Monday, June 13th, 2016	at 1:40 pm	and is filed under Printing news	. You can follow any responses to this entry through the RSS 2.0	feed. Both comments and pings are currently closed.